Q. 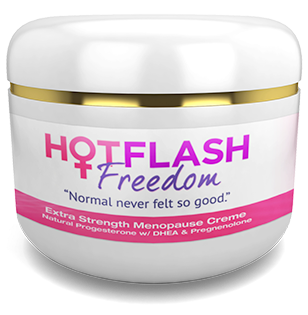 What are the ingredients in Hot Flash Freedom? Q. How do I apply the creme? A. Collect the right amount of creme from the jar by using a clean 1/4 measuring teaspoon. One is provided with your order. Apply the measured amount to the proper area (see application diagram) using your fingertips. Apply a thin layer over the area and continue to rub in to the skin until it disappears. Q. Can the Creme be applied to more than one area? A. See application diagram included in your order. This will guide you to the most beneficial areas that are convenient for your application. You may apply the creme to any of these areas. You may also divide up the dose to more than one area. By dividing the area, you may get better absorbtion and faster penetration of the creme. However, you will not cover all areas with each application. Q. Can I use more than the recommended amount of creme? A. It is best to use the recommend amount as proven by our testing…”MORE IS NOT BETTER”. Q. What if I feel unwanted symptoms after taking the creme? A. Feeling energized, anxious or nervous may occur when you first start your creme. If it causes any of these symptoms, simply reduce the amount to half of the recommended dosage on the label for a few days until your body gets used to getting what it needs again. Then begin to increase steadily to normal amount again. If a woman is stranded on a island and starved for 30 days and then is given a steak dinner to eat, her body will have problems with the dietary intake in much the same way. Too much too quickly. So if this happens to you, cut the amount of use and gradually increase the amount to normal after a few days. Simply use your good judgement. You know best. Q. Can I wipe off what is left of the creme? A. The creme is pre-designed to absorb thoroughly into the skin leaving only a very fine residue. If your creme has any color other than pure white, there is a possibility that it could stain clothing. To avoid this, thoroughly apply the creme to an area and allow it to be absorbed. Wait for 5 minutes. We suggest a 15 wait prior to showering or prior to wiping with a towel. Q. How long will I be using the supplement? A. Our stategy involves three phases, each one designed to assist normalizing a specific aspect of hormonal balance. Every person is an individual and many factors will influence the period of time necessary for the program to accomplish this goal. The average time for each phase is 90-120 days. Most women observe a change within a couple of weeks with many reporting initial improvement starting on the third day, with steady progress throughout each phase. Retesting is imperative and recommended to be done before starting each phase. Q. What if I experience a rash? A. If you should experience a rash or skin irritation at the site of the application, discontinue use on that area. Moving to another area mya in many cases resolve the problem. If it occurs at the new site you may have an allergy to one of the ingredients in the creme. If the rash is not at the site of the application and causes an obserable reaction, discontinue and contact Hot Flash Freedom support or your physician. Q. What if I have a problem with the smell? A. Some of the amino acids or botanicals we use in the formula have strong odors. Although we try to overcome this problem by adding natural fruit flavorings, the creme retains a trace of the original scent. Many clients solve this by applying the creme to the bottom of their feet. Many sensitive people find that if they use the creme on the bottoms of their feet and cover them with socks, they are able to use the creme when not otherwise possible. Q. How soon is my order shipped after I make my order? A. Orders are shipped out within 24 hours Monday thru Friday. Q. What carrier do you use for shipping? How shall I expect my package to come? A. Most orders are shipped via the United States Postal Service. Overnight services many times are shipped thru UPS or DHL as they are faster in many cases. If you have further questions contact us. 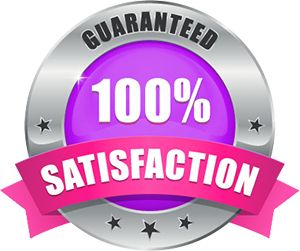 If for any reason you are not satisfied with the energizing and revitalizing effects of Hot Flash Freedom™, we will refund your money-NO questions asked and NO hassles. Order Hot Flash Freedom™ before midnight and receive free shipping! FREE SHIPPING to the USA. WE SHIP EVERYWHERE!